So like the call to a generational martial art tournament press slowly gets the rush of emails sent out to RSVP for the press events to come with E3 Expo. This is the first of many more but still the first of the big console three. What will nintendo have in store for this years E3 Expo? Anything could happen, any Kuribo’s shoe could drop. We already know the following though, we are gonna see a crap ton of Wii U games. But what else could there be down nintendo’s plumber gloves? This year has been kind of hard on Nintendo with the strong Japanese Yen to weak US Dollar. They didn’t make soaring profit for the first time in years because of the costs of product exports with the weak dollar. The 3DS was the big show last year with only behind closed door demos of the Wii U last year. It will be interesting to see how Nintendo will make themselves again with their first move into true HD video gaming consoles. How did you get the Nintendo invite? and is it too late to get in!? 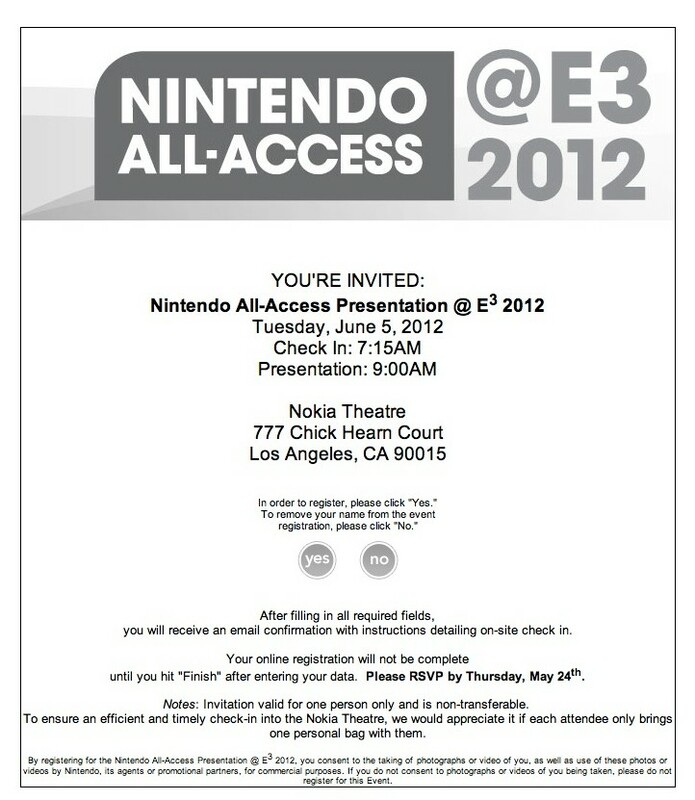 I am confirmed for E3, but have not received replies from my attempts to contact their media relations people.